We are reaching out with a proposal that we hope you will find exciting. We are both involved in an Evanston non-profit organization called Evanston Scholars. 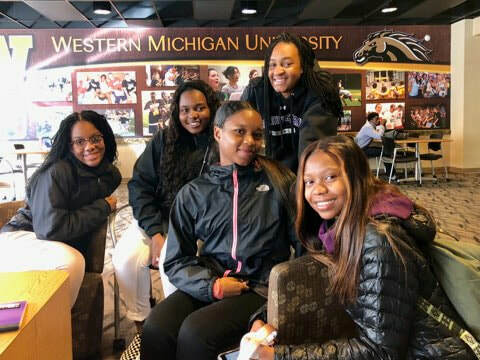 Evanston Scholars is a college access, college success, and career readiness program that works primarily with ETHS students who are first-generation, low-income, and students of color. This comprehensive 6-year program offers workshops, mentors, SAT prep, and individualized college counseling to support students with financial and/or academic needs. We particularly love the story of Whitcliffe who always had a desire to be a pilot. With the help of Evanston Scholars, he went to a top aviation college, graduated with minimal debt, and is now on his way to fulfilling his dreams. Evanston Scholars has had some pretty impressive results thus far — 70% of their 1st 3 cohorts have graduated college, while 93% are still persisting towards a college degree. They started with only a cohort size of 10; now they take about 35 per year and have over 200 in the program. As ETHS graduates, we know the discrepancy of opportunities in our town. And not all deserving, talented students have the opportunity to go To and Through college. Evanston Scholars annual benefit POMP! is May 10, 2019. This event brings in approximately one-third of the organization’s yearly income. manageable donation, collectively we can make a larger impact. Let’s make it happen! The initial level of sponsorship begins at $500, moving up to $1,000, $2,500 and then $5,000. If you are interested, please make a donation in the form to the left. You can also send a check to Evanston Scholars at 1234 Sherman Ave., Suite 214, Evanston, IL 60202. Please note, individual names will not be listed in the program. Rather signage would be presented as “The Class of 1985.” If you’d like to learn more about Evanston Scholars or would rather make an individual donation, please go to the Evanston Scholars website.